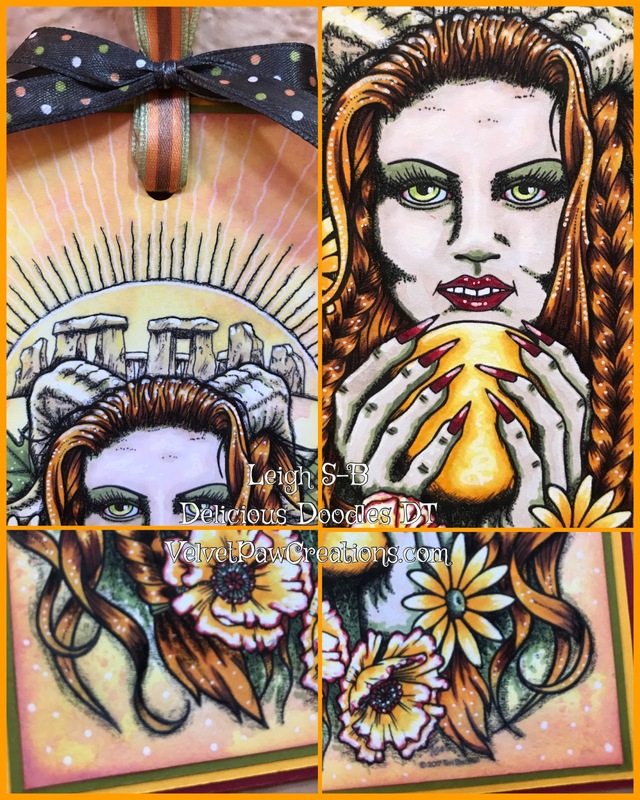 Velvet Paw Creations: Summer Solstice Witch tag - Delicious Doodles DT project! Summer Solstice Witch tag - Delicious Doodles DT project! I can't believe it's August already, where has this year gone to? August 1st means we have a new challenge over at Delicious Doodles and the theme is Colours of Autumn. I haven't made a tag in quite a while so decided to do some tag art for my design team inspiration this month featuring the gorgeous Summer Solstice Witch by Delicious Doodle. I printed her out onto mixed media cardstock and trimmed into the shape of a tag. I coloured the entire design with Copics using yellows, browns, greens and reds. The background was done with Distress Oxides. I applied Fossilized Amber with a sponge ink blending tool, spritzed with water and dabbed it off with paper towel to create the mottled oxide effect then dried with a heat tool. I smeared some Fired Brick on to my craft sheet and spritzed with water. I then applied the ink to the tag by randomly pressing the background into the ink and immediately dabbing dry with paper towel and zapping with the heat tool. To finish off the edges of the tag I added more pure Fired Brick Oxide ink with the blending tool. I finished off my colouring by adding white highlights to the image and sun rays and speckled dots to the background with a white Dylusions paint pen and shading with a black Prismacolor pencil. I then adhered the tag to green, yellow and red cardstocks in the darker autumn palette and trimmed to leave a 1/4 inch border for each. I completed my tag by punching a hole at the top and embellishing with colour coordinating ribbons in stripes and polka dots. 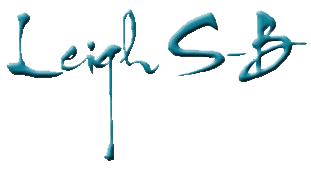 Shop for the supplies I used via my affiliate links with Joggles and Blick Art Materials, both have amazing prices and the best deals!